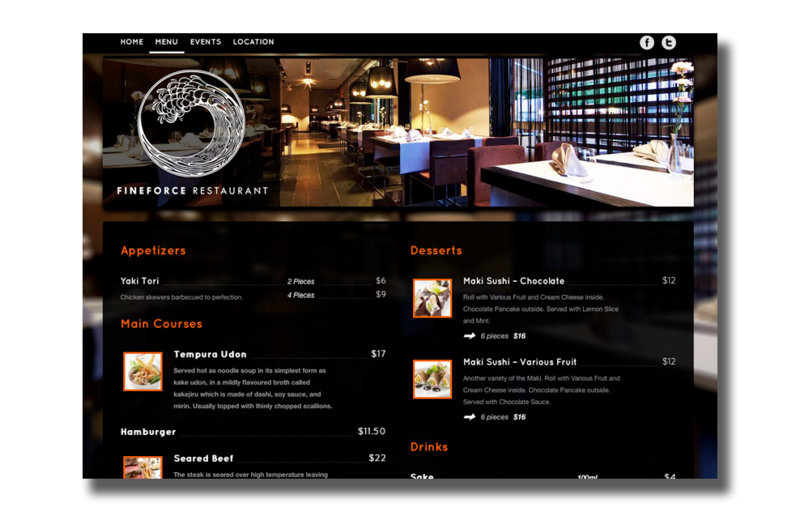 Restaurant websites, as a category, are horribly designed. Just pick one at random, and you’ll almost certainly be met with a ghastly bombardment of unnecessary Flash animation, bad techno music (that you can’t turn off), and a complete inability to find what you’re looking for: the menu. Which is why we’re downright giddy about UK-based startup Happy Tables. Happy Tables provides restaurant and bar owners with easy-to-use website building tools, based on WordPress, as well as hosting support. The service costs $39 a month, and provides all the elements necessary for building a user-friendly website that automatically works well on mobile devices. Happy Table subscribers can add images, tweak their design, install widgets, and add or delete pages to their heart’s content. It’s cheap, and it doesn’t take a high-paid Web designer to update the daily specials. If you ask us, a service like Happy Tables seems like a no-brainer. So we had to ask, why are most restaurant websites so utterly dreadful? Originally started by Noel Tock, Happy Tables started as a WordPress template business called Theme Force. Tock eventually realized the potential, and brought in Hoyle and Tom Willmot to help develop the business into what it is today: a subscription-based service, rather than a business built on one-off sales. Another perk to using Happy Tables is the Facebook Events integration, which allows users to post specials and event so their Facebook page, and have the information automatically updated on their website.